For nail art Number 7, I've opted for a very cute and equally simple design. No real skill or talent needed, these Christmas Present nails add just enough christmassy interest to a plain manicure. 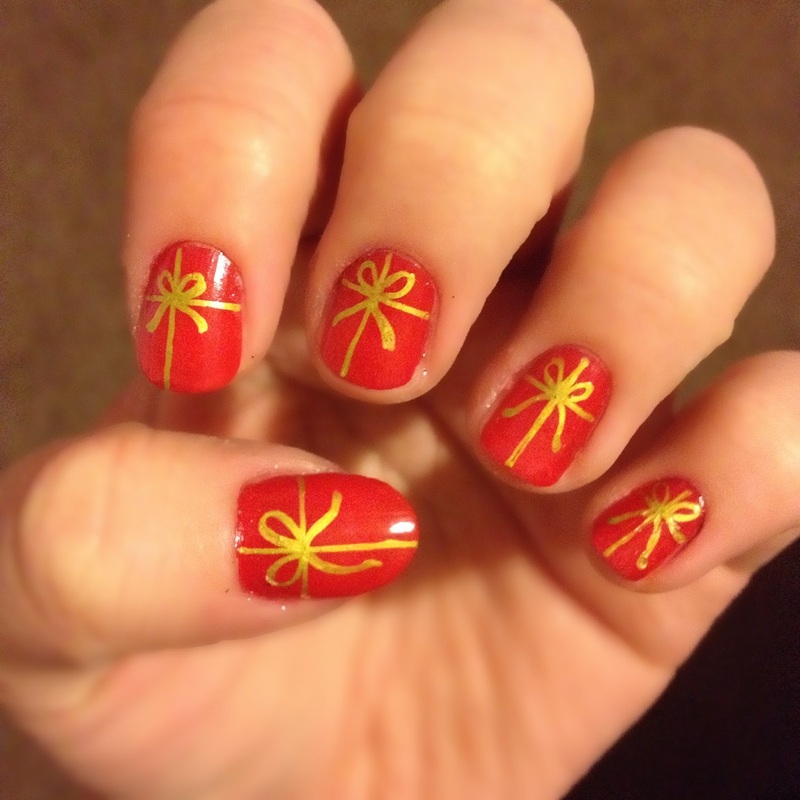 For a cute and quirky nail, check out my Christmas Tree Bow nail art! My top tip for this design is to do the gold by dipping an old pen into gold polish and 'drawing' it on; a hundred times easier than using a brush, at least for me! Another gorgeously Christmassy design very soon, only 4 sleeps to go ahhhhhhh! followed you honey, follow me back?